On Day 1 you will be met at the Tokyo Airport (NRT) for your transfer to your accommodation. The next morning, transfer to the train station where you will take a bullet train to Hakone, the gateway to Mt. Fuji. Enjoy free time to explore on your own. On Day 3, take a train to Kyoto - the cultural capital of Japan - with free time to get to know the city on your own. Take a half-day excursion of Kyoto on Day 4 to see some of the city’s incredible shrines and temples. Travel via train to Hiroshima on Day 5 through the Japanese countryside and take a 2-hour sightseeing bus excursion on Day 6 to get to know the city. 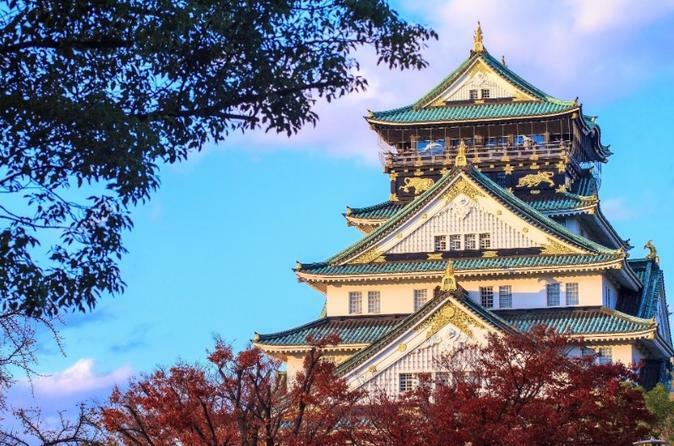 Day 7 brings you to Osaka for your last night on tour with free time to explore on your own! Say goodbye to the beautiful country of Japan as you are transferred back to Tokyo on Day 8. Today our representative will meet you at Tokyo airport (NRT) to assist you with boarding a train or shared shuttle to your accommodation. Get checked in and enjoy the evening at leisure. Have dinner on your own. Overnight in Tokyo. After breakfast, we depart Tokyo to reach Hakone Area, the gateway to Mt. Fuji and its surrounding national park, famous for its wonderful onsen and natural landscapes. You will have free time to explore the Hakone area on your own. You have an included Hakone Transport Pass that provides you with numerous forms of transportation throughout the area. From the Volcanic Owakudani Ropeway passing over hot springs and sulfurous fumaroles (operations close intermittently during volcanic activity). Glide across 3,000-year-old Ashinoko Lake on a majestic pirate ship or take the Hakone Tozan Switchback Train that zigzags through the mountains. Check in to a natural onsen resort in Hakone. After breakfast, head to Kyoto via bullet train, Japan’s cultural capital. Have lunch on your own and check-in. Enjoy the rest of the day at leisure in Kyoto and have dinner on your own. Overnight in Kyoto. Have breakfast and enjoy some free time. In the afternoon, you'll start a half-day excursion around Kyoto. Visit one of Japan’s largest torii gates at the Heian Shrine, Sanjusangendo Temple with 1,001 armed Kannon Goddess statues and the Kyomizu-dera temple. Have dinner on your own and overnight in Kyoto. After breakfast, you will depart Kyoto via bullet train en route to Hiroshima. Have lunch on your own and check-in. Enjoy the rest of the day at leisure in Hiroshima and have dinner on your own. Have breakfast and enjoy a free morning. We recommend taking a short ferry ride to Miyajima Island on the Seto Inland Sea where you can enjoy a peaceful atmosphere with wildlife, shrines, temples and local delicacies. In the afternoon, make your own way to the Shinkansen Entrance of the Hiroshima Station for a 2-hour experience on an open-air bus. Ride around the city to see the highlights of Hiroshima Castle, Jonan-dori Avenue, Heiwa-odori Boulevard, and the Mazda Stadium. Walk around Peace Memorial Park and Museum. Return to Hiroshima Station and have the rest of the day at leisure. Have dinner on your own. After breakfast, head to Osaka via bullet train. Have lunch on your own and get checked in. Enjoy the rest of the day at leisure in Osaka and have dinner on your own. Check-out after breakfast and enjoy the morning until it's time to take your bullet train to Tokyo, and then to Tokyo airport (NRT).